Amos calls for justice to roll down like waters. Paul urges us to encourage one another with the promised coming of the Lord. Jesus tells the parable of the prudent and foolish bridesmaids. These readings pair our concern for those who have died in the expectation of Christ's return with those we who are alive, waiting for God's justice now. * How do justice and grace relate to each other? * Is this parable about staying awake, or being prepared? What's the difference? * What insight do you gain into the life of faith from the image of an oil lamp? 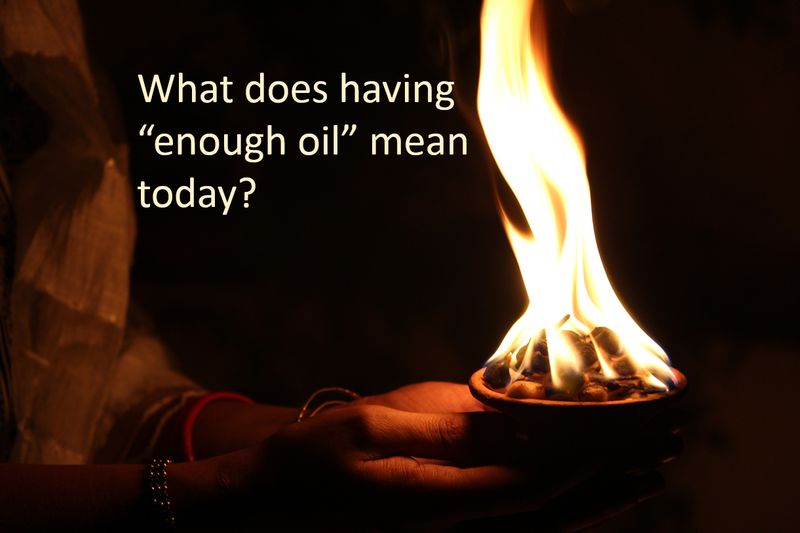 What does having "enough oil," look like almost two thousand years later? * What is the relationship between faithfulness and readiness? For the Week: Let justice roll down, O God. Throughout the Day: Make haste to help me, O Lord! Blessing to Share: May your day be bright with the light of God. For mealtime, say responsively: You are my helper, O Lord; come quickly, O God. We have a pampered lifestyle, not unlike the “ivory couches” of Amos’ day. It seems to be a fact that when a society gets prosperous, faith commitments dwindle. Read the Amos text and reflect on it. Can prosperity and faith co-exist? How do our ivory couches affect our spiritual life? How about our compassion for and attention to the poor and oppressed? End your reflections with prayer. What can you do this week to “let justice roll down”? This week is National Hunger & Homelessness Awareness Week, an annual opportunity for communities across the country to engage, educate, and donate to help move residents beyond homelessness. Events are offered each day around town – you can find the daily listing at Gloria Dei or on Shelter House’s website. Gloria Dei is partnering with Shelter House on Tuesday, 11/14, offering a soup luncheon. Free will offering and collection of new socks.